His connection to the Eliot neighborhood is through his employment as a social worker with Cascadia Behavioral HealthCare, Inc. Cascadia owns the building at 3034 NE Martin Luther King Jr. Blvd, which is the home of the Garlington Center and the new Garlington Place Apartments. 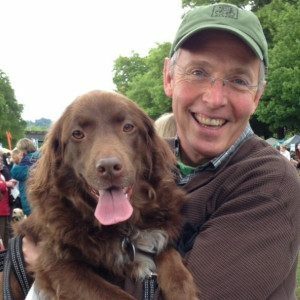 He has worked for Cascadia for 30 years and currently is the VP of Housing. Jim likes the Eliot neighborhood because of its rich history and has joined the board to stay connected with the neighborhood where he works. In his free time Jim likes to spend time with his family, bicycle, walk with his dog, garden and read. He has a vision for Eliot to have more outreach to the neighbors in order to get more people involved with activities, events and issues in Eliot.